Critics of Google’s strategy are correct to say it looks contradictory: the company has invested time and treasure into building devices, but it hasn’t accompanied them with the necessary distribution and marketing to truly challenge for a big slice of the market. Google claims to be serious about its hardware business, but the Pixel phones are still available in only a limited number of countries and through a limited number of carriers. And yet, to declare the Pixel irrelevant simply because it isn’t selling in large quantities would be naive. That would be akin to saying Nokia was thriving back in 2010 because it sold the most phones at the time. Google’s fraught decision-making notwithstanding, the Pixel phones are influential far beyond the unimpressive number of people who own one. Here are three of the most important ways in which Google’s Pixels matter. Apple can no longer claim to have the best camera on a phone. Google gets to say that. If my illustrated love poems to the Pixel camera haven’t been enough to convince you, check out what The Wall Street Journal and The New York Times have had to say about the first two Pixel generations. This year, Google is investing substantially in amplifying the message about its camera lead. It has recruited famous photographer Annie Leibovitz — previously a vocal endorser of the iPhone’s camera — to do a photo tour of the United States with a Pixel in hand, and it’s paid Condé Nast to shoot seven different magazines’ covers with the Pixel, featuring such high-profile stars as Ryan Gosling. Google isn’t trying to make money out of its phone business as much as it’s working to pad out its reputation as a tech leader. In the battle for mind share, in the Trumpian quest to be part of every conversation, the Pixel far outweighs its piddling sales. iPhone X and iPhone XS reviews have been full of camera comparisons against Google’s phones. When another Android vendor releases a new device, the benchmark for its user experience is the one provided by Google itself. The Pixel matters because, within the narrow contexts of camera image quality and Android user experience, they are the best you can get. Even without selling tens of millions of phones every quarter, Google has an influence on the smartphone market purely by virtue of those phones’ existence. Apple will never be content with being second best, and the latest iPhone camera system — undeniably Apple’s best to date — bears a striking resemblance to the computational photography approach pioneered by Google. You don’t have to believe that Apple copied Google to see how much less impressive the iPhone XS is to anyone who’s seen the results produced by the Pixel’s camera. And the number of people aware of the Pixel is far larger and growing much more rapidly than the number of people who own one. Like the Nexus line before it, Google’s Pixel represents the company’s vision for the optimal Android user experience. Which is to say, the Pixel is built to advertise Android at its best and, increasingly, Android is designed to create the best possible Pixel. When Google decided to break from the traditional 16:9 aspect ratio with the Pixel 2 XL last year, it issued design guidelines to that effect six months in advance. When the company opted for a notch with the Pixel 3 XL, it again released advice for app developers that urged the respect of “display cutouts.” You could validly argue that Google was embracing trends already started by Samsung, with elongated screens, and Essential and others, with notches. But it’s still notable that any time Google decides to accommodate a new hardware feature, it’s one that you’ll find on the latest (or upcoming) Pixel. For any Android device maker, the cost of tailoring the operating system to any particular hardware configuration drops dramatically if that setup matches Google’s choices with the Pixel. OnePlus, for example, had to test the top 1,000 most popular apps on the Play Store to make sure they worked with the notch on its OnePlus 6. Now that every app designer has Google’s guidelines and the Pixel 3 XL’s jumbo notch to test with, that effort can be saved. There’s a lot to be said for the Pixel’s existence as just an idealized Android experience. Not only does it let Android app developers design for a fixed thing in a market of very diverse things, it also lets buyers and fans articulate their dissatisfaction with other Android phones more directly. Samsung, Huawei, Xiaomi, and their ilk can be held to a higher standard if Google is able to give that standard a physical embodiment, and that’s what the Pixel line represents. Yes, it’s all very meta and somewhat unambitious on Google’s part, but it makes sense: the Pixel is an expression of Google’s philosophy for how to best use Android, and its quality makes it relevant to the entire market. Other than Apple, Google is the only company that controls the design of both the hardware and operating system of its smartphone. The tight integration between hardware and software has always been an instrumental advantage for Apple’s devices, and it’s only going to grow in importance. Apple’s custom-designed A12 Bionic processor in the iPhone XS has a dedicated section for accelerating AI tasks, while Google has come up with its own custom Pixel Visual Core chip for making photography tasks faster and more efficient. The future of smartphones is bespoke hardware of this kind, designed from the ground up to make new software features possible. 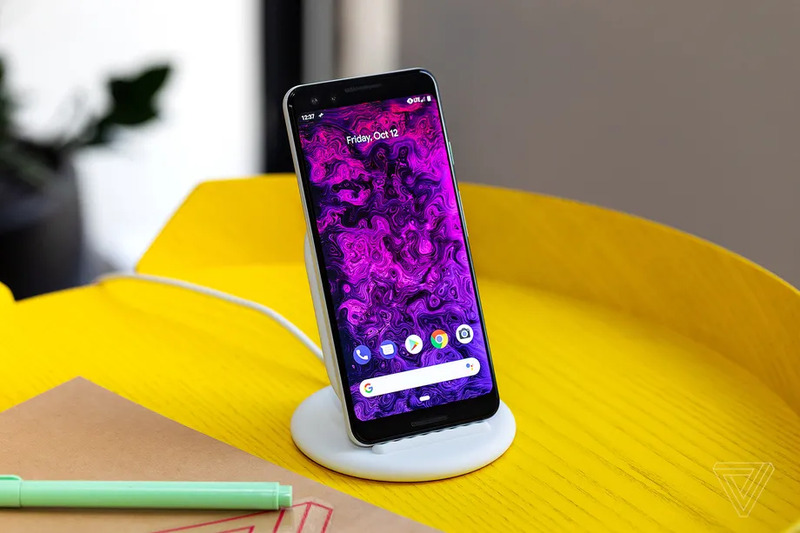 Google chose to make the most humongous possible notch on the Pixel 3 XL so that every app developer would test with that device as the "worst case scenario" notch, thus ensuring compatibility with every possible notch to come. I don’t want to inflame users of Samsung, Huawei, LG, or HTC phones who believe their device is no less worthy or desirable than an iPhone. As of today, it’s still possible to build a pretty amazing chunk of glass-covered hardware, ship it with Google’s OS on board, and indeed compete with the iPhone. But that’s not the future. The differentiating factors of our AI-powered future will be custom, proprietary software such as Google’s HDR+ camera system and intelligent call screening in the Pixel, powered by custom silicon. In that battle, Apple’s prodigious chip design team enjoys a significant lead in hardware, Google is the most advanced in its applications of AI, and everyone else is somewhere in between. You don’t have to like the Pixel to recognize its importance. Without Google going to the trouble of making its own phones — and evolving them successfully with each passing generation — we’d be facing the very real threat of Apple standing alone with its unmatched ability to control and steer the design of every aspect of its phone.